Mind Your Muse Books, 9780999238523, 194pp. Mika Stillwater isn't known for her skills with combat magic. As a gargoyle healer, she spends her days mending broken appendages and curing illnesses in the living-quartz bodies of Terra Haven's gargoyles. But when a squad of the city's elite warriors requests her assistance in freeing a gargoyle ensnared in a vicious invention, Mika jumps into the fray. 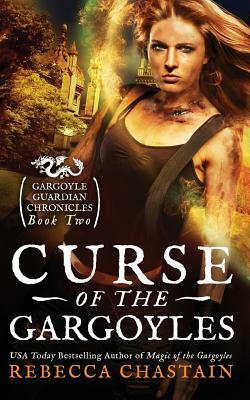 Brimming with epic magic and loveable gargoyles, Curse of the Gargoyles is the second story in Rebecca Chastain's mesmerizing Gargoyle Guardian Chronicles trilogy. Fantasy fans young and old will delight in this highly original world and exciting, action-packed adventure.